Back in 2008, Facebook was just beginning to solidify itself as the social network of our times. Microsoft had just partnered with the site, we were all extremely concerned about the state of Scrabulous (remember the anguish over losing that game?! ), the profile page underwent its first big makeover (the Timeline of its time), and Facebook Connect launched to take over the Internet. At the same time, more ominous changes were going on behind the scenes. 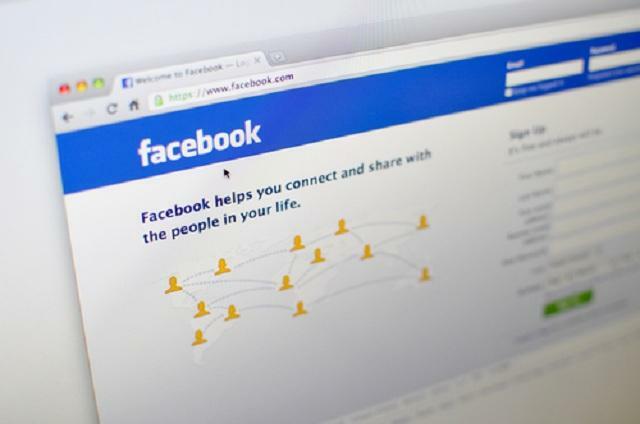 Facebook partnered with a company called Profile Technology that created applications for social networks – and one of those applications was data crawler Profile Engine. It’s a people search engine that launched in 2007, claiming to be the “the world’s first dedicated search engine for Facebook.” Profile Technology was less forthcoming with their business model, which is alleged to involve data brokerage. According to Profile Technology, an agreement made with Facebook in 2008 allowed the platform to have backend crawling access to Facebook’s data. The deal existed until 2010, when Facebook allegedly shut off access without warning. 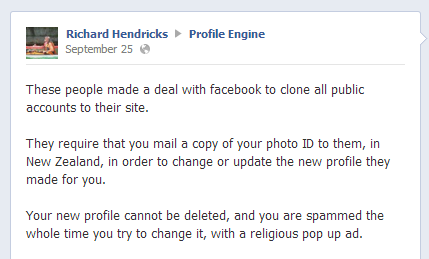 And now, Profile Technology is suing Facebook. “Suddenly Facebook interfered with crawler access and told Profile Engine out of the blue that they were not authorized,” Profile Technology’s lawyer Ira P. Rothken tells me. “There have been discussions that were ongoing for a robust period of time and filing this lawsuit wasn’t done lightly, it was a last resort.” In addition to taking away Profile Engine’s ability to index its contents, Facebook also shut off the company’s Facebook apps, “essentially destroying their revenue stream,” says Rothken. This criticism is all deserved. Sites like Profile Engine are essentially personal data hoarders that collect what they can from the likes of Facebook and then make it extremely difficult for you to ever get rid of that info. Even if you delete all your Facebook Photos or Friends or your account altogether, it’s all going to remain sitting over on Profile Engine. Facebook public policy and communications manager Andrew Noyes tells me, “We believe the lawsuit is without merit and will defend ourselves vigorously,” but declined to talk specifics about the agreement between Facebook and Profile Technology. But we do know this: Around 2009, Facebook stopped allowing Google to index its contents, as it wanted to compete with the search engine. Back in 2007, Facebook implemented Public Search Listings, so its period of time being search engine-friendly was fairly short-lived. Even so, it looks like that small window is coming back to haunt Facebook, even if just to remind us that for awhile, Facebook made no bones about selling off our information. Even if the social network isn’t found guilty on all counts, it could very well have to make some redress to Profile Technology for terminating a contact without due warning between the two. If Facebook’s assertions that Profile Engine is “spammy” and “unsafe” are accurate, users should be relieved that Facebook has cut off its access – but it’s less than reassuring that a network that holds increasing amounts of your data (now including your purchasing history information) was involved in selling it off less than five years ago. This article has been updated to reflect the following changes: Profile Technology disputes the claim that they are a data brokerage.